WAUKESHA, Wis. - The 12-year-old Wisconsin girl who nearly died after authorities say she was stabbed 19 times by two classmates trying to please a fictional character is back in school. Stephen Lyons, a spokesman for the girl's family, says it has been a summer of doctor's appointments, surgeries, specialists and recovery. Lyons says the girl has been eager to go back to school in Waukesha. She started the 7th grade on Tuesday. Lyons tells WITI-TV that the girl and her family continue to attend therapy sessions to deal with the emotional scars of the ordeal. Court documents say two 12-year-old classmates plotted for months to kill the girl to curry favor with Slenderman, a fictional character in horror stories they had read online. The girls told investigators they believed Slenderman had a mansion in a Wisconsin forest and they planned to live with him after earning his approval by killing their classmate. 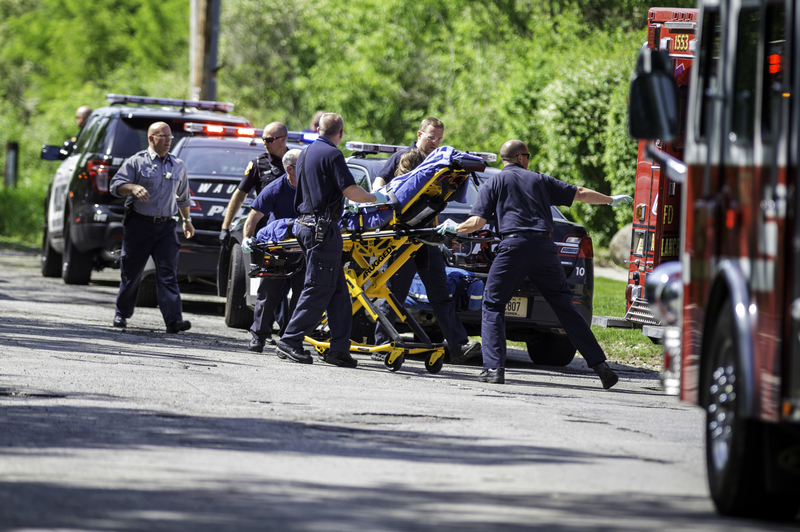 They lured the victim to a wooded park in Waukesha, Wis., on May 31. One told investigators she told the victim to lie down and be quiet after the stabbing so she wouldn't lose blood as quickly, but the suspect said she actually wanted the girl to be silent so she would die without drawing attention to them. One of two preteens accused in the stabbing has been ordered to receive treatment rather than stand trial.